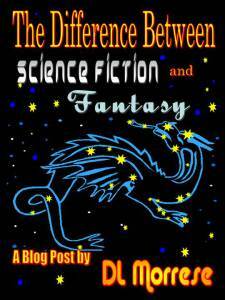 Both science fiction and fantasy present things that do not exist. All fiction does this, of course. That’s what makes it fiction. But science fiction and fantasy include not only imaginary characters and events but settings, creatures, concepts, or devices that are qualitatively beyond our normal, everyday experience. If you are fortunate enough to have a brick and mortar bookstore near you, you are likely to find science fiction and fantasy grouped together in the same section of the store, probably labeled (logically enough) “Science Fiction / Fantasy,” and although they share some characteristics, there is, I think, a clear and unambiguous distinction between them.